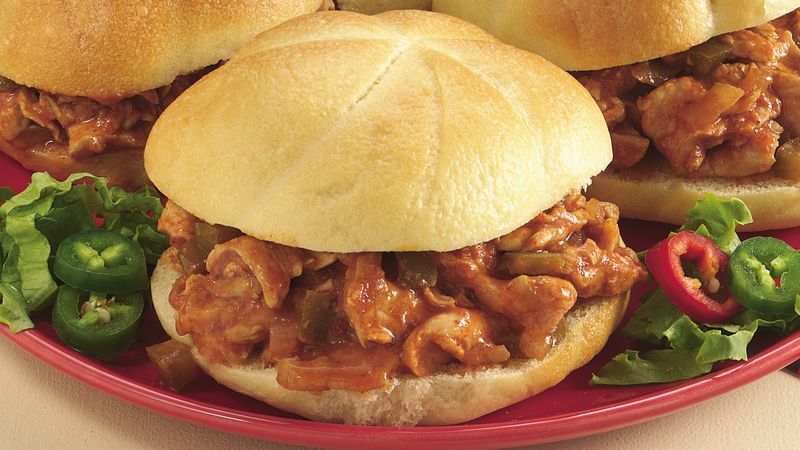 In 4- to 5-quart slow cooker, mix all ingredients except buns. Cover; cook on Low setting 7 to 9 hours. Break turkey into pieces with spoon; serve in buns. *For easier slicing, freeze turkey slightly. For a thicker sauce that clings to the turkey, uncover the slow cooker and cook on High setting during last 45 minutes of cooking time.